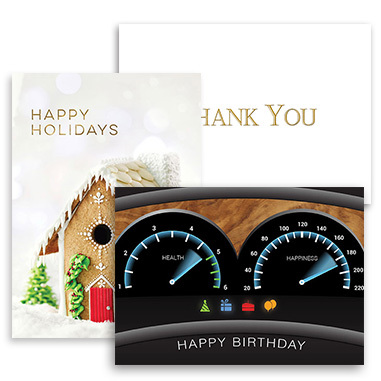 Our insurance themed birthday cards and holiday cards are perfect for homeowners insurance and auto insurance professionals alike. Our real estate themed birthday cards and holiday cards are perfect for real estate agents looking to send professional birthday and holiday greetings to prospective and existing clients alike. Be sure to also explore our All Birthday + All Holiday page for even more festive selections!